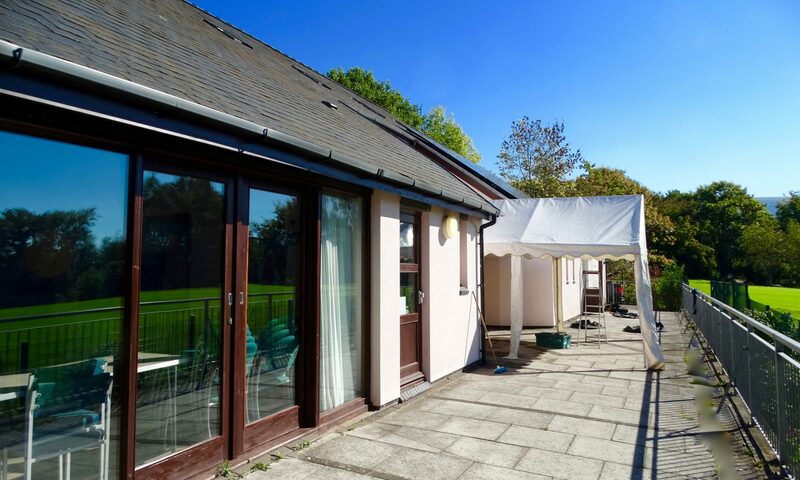 Terrace – our large paved terrace extends for the full length at the rear of the hall. There are facilities for barbecuing and for weddings and functions, local contractor can provide marquees. Car Parking – there is ample car for 20 plus cars in addition to disabled car parking. Level access from car park to foyer, meeting room hall and terrace. Additional parking is available in the school carpark adjacent to the Community Centre. out of school hours. Outside Play Area – the centre has a well maintained children’s play area with swings, slide and climbing frame.